Home / What Happened To Biomune? Biomune was the first product that I came across when I started this journey many years ago. It used Colostrum and Astragalus as its main ingredients. Unfortunately, several months ago the company (which shall remain nameless) that bought Biomune out decided to stop producing it! Don’t worry.. We’ve got you covered. I too was a nervous wreck when I found out because I have several family members and friends with weakened immune systems that depended on it. Luckily I found a product that was exactly the same. It even gets its main ingredient, colostrum, from the same farm and pastures as Biomune. You can imagine what a relief it was to me and my loved ones. What are some of the great things about Cyto-Ess? 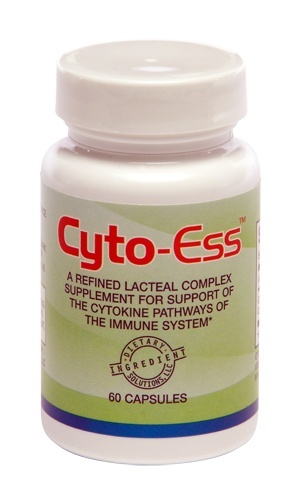 Cyto-Ess contains Ai/E-10, a refined lacteal (Dairy) complex with colostrum as the main ingredient. This complex has an ability to stimulate the repair, restoration, and maintenance of your immune system resulting in greater system function and balance. It does this by activation and modulation. The immune system is critical to our health because it protects us from disease and responds to foreign invaders of the body. Two of the main reasons our bodies have weakened immune systems are stress and dietary deficiencies. That’s why it’s important to use supplements like Cyto-Ess to keep your system in a high mode of efficiency. Click Here To Purchase And Find Out More! It’s great that you’ve found a replacement for Biomune OSF, but you don’t say how to get it. How do I get Cyto-Ess ? Hello tomhos, thanks for visiting! We are designing a costumer interface and checkout cart at the moment. I will email you a way to purchase Cyto Ess.